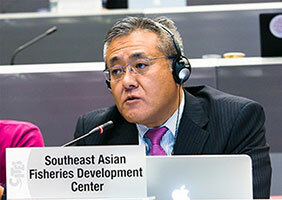 SEAFDEC Secretariat represented by the Deputy Secretary-General Dr. Kaoru Ishii and the Policy and Program Coordinator Dr. Somboon Siriraksophon attended the Twenty-ninth Meeting of the Animal Committee of CITES in Geneva, Switzerland on 18-22 July 2017. 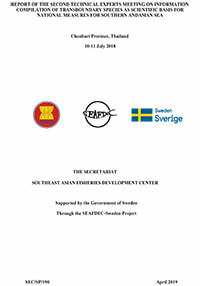 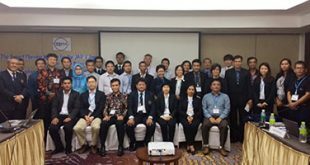 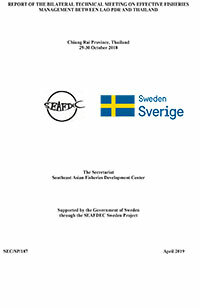 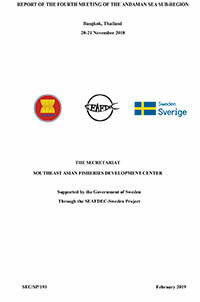 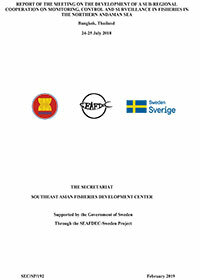 During the plenary session of the Meeting, Dr. Ishii announced launching of the new SEAFDEC project funded by the Japan-ASEAN Integration Fund (JAIF) entitled “Enhancing Sustainable Utilization and Management Scheme of Tropical Anguillid Eel Resources in Southeast Asia.” The project covers two-year period from August 2017 until 2019, with the aim of enhancing the region’s capacity for development of management scheme of eel fisheries/aquaculture. 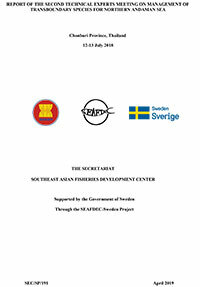 Due to the increasing demand for eels, over-exploitation of European and American Anguillid eels has becoming of concerns, and the issue was raised for discussion during the CITES CoP17 in 2016 in South Africa. 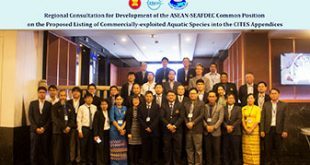 This issue is supposed to be discussed again at the next meeting of CITES CoP18 to be held in 2019, and could result in impact to the sustainable utilization of Tropical Anguillid Eel in the Southeast Asian region. 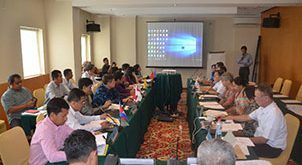 Beside the issue on Anguillid eels, the Animal Committee also discussed on data collection and NDFs scheme of Sharks and Rays as well as other aquatic species particularly the freshwater stingrays, Banggai cardinal fish, and Precious corals.